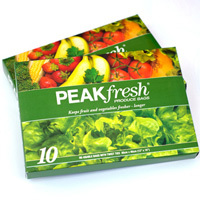 Peakfresh produce bags are a convenient way of storing fruits and vegetables to stop them from spoiling. 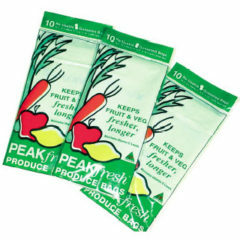 Manufactured under a certified Food Safety Program (HACCP), Peakfresh produce bags will save you money at the grocery store. Available in a variety of pack sizes.